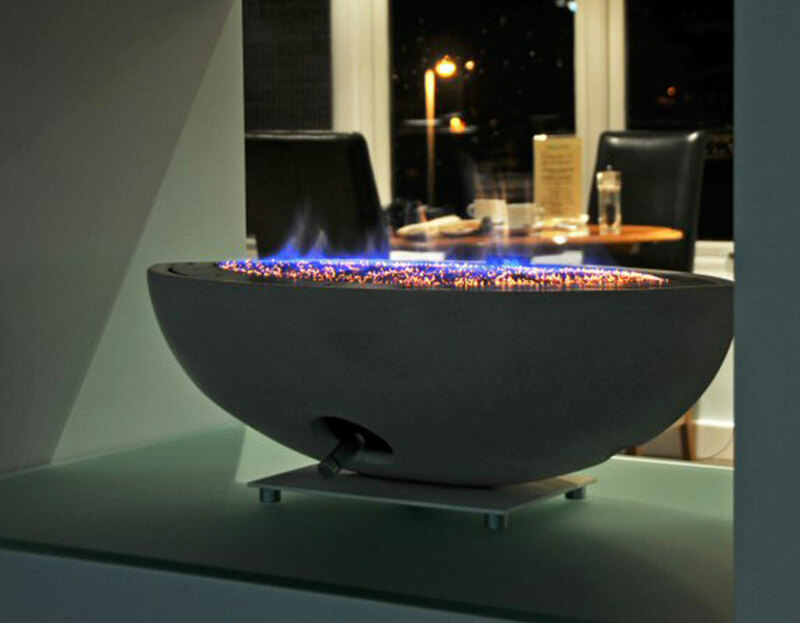 GAS FIRE BOWL : SEE THROUGH INSTALLATION. 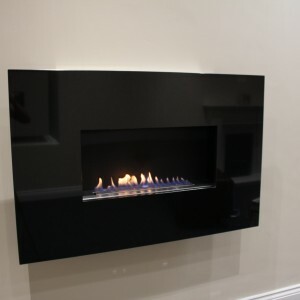 For each of the gas fire bowls we supply there is also the option to buy a double sided or see through enclosure in either black steel, stainless or natural stone. The enclosure can be supplied trimless or with a flange to mount a stone trim. There is an option to add a glass panel on one side of the enclosure to create a tunnel effect with the benefit of the single sided installation requirements. 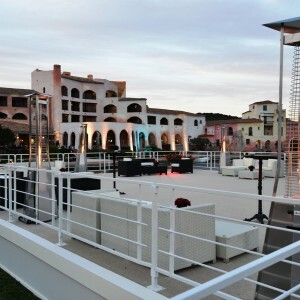 There are unlimited options available with over 15 standard and bespoke designs possible. As this is a complicated design and needs specialist installation knowledge we will not accept orders online. The prices shown are for indication only. To place your order please call our sales team on 01325-301020. 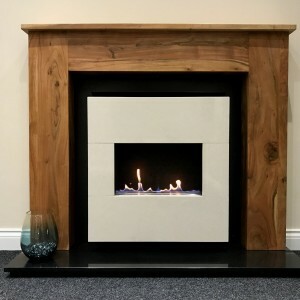 Attached are the three standard double-sided fireplace specifications and images of the various standard and bespoke designs we have created. Please call to discuss your requirements. Enclosure: Choose from Black Satin Steel, Brushed Stainless, Polished Bronze, Limestone or Black Granite. Fascia: Optional 4pc Stone Trim in Limestone or Black Granite (others upon request), Glass panel can be on one side. Gather: The gather is supplied with the fireplace. The gather will prevent debris falling into the opening from the chimney, stabilise the flame and maximise the efficiency. I purchased the white Bowl with black enclosure for my customers home and they could not be more thrilled with the ease of use and design of the bowl. 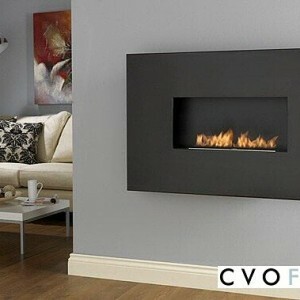 It is a feature fireplace in both rooms and provides the heat when required. Definitely going to be recommending this product to future clients.